The Hillsboro Hops will send two players to the August 7th All-Star Game. For the fourth year in a row, the best of the Northwest League will face the best of the Pioneer League in the annual event. Furthermore, the NWL leads the series 3-0. This year, catcher Andy Yerzy and closer Josh Green will certainly represent the Hops as two of the best. A native Canadian out of Toronto, Andy Yerzy was most noteworthy as the Diamondbacks 2nd round selection in 2016 out of high school. Even more, the 20-year-old is the current team leader with a .325 batting average of those over 25 At Bats. Just the previous night, Andy’s bat sent a bullet of a home run to give the home team the lead for good against the Vancouver Canadians. Considered the second best catching prospect in the Diamondbacks organization, Andy is listed as the 15th overall prospect. His greatest strength is certainly his power at the plate. Near the halfway point of the 2018 season, Andy has accumulated eight doubles, five home runs (2nd on team), 23 RBIs (4th), 52 hits (1st) and a .325 BA (1st among over 25 ABs). 2021 is probably his expected arrival date to the majors. The day before the season started, Andy participated in my interview with several players on the upcoming season. You can read what he and others had to say in the season preview. Andy will be in the starting line up as the designated hitter. The 14th round selection from this year’s draft has been a pleasant surprise. Because Josh has become the team’s closer leading the Hops with six saves in six chances. Also, his 0.43 ERA leads the team for those with over ten innings pitched. Above all stats, Josh has allowed one earned run in 21 innings. The 22-year-old is from Baton Rouge, Louisiana and attended Southeastern Louisiana University. In his last game, on August 2nd, Thursday night, Josh entered the ninth inning of another comeback win to earn his sixth save of the season out of as many chances. Josh was a part of seven innings of shutout relief after the visiting Vancouver Canadians scored four runs earlier. You can read the recap here. Josh will be in the bullpen. This year’s game will be held at Suplizio Field, home of the Grand Junction Rockies in Colorado on August 7th. Also, it is debatable whether the Hops would have had three more All-Stars going to the game. Finally, Ryan Dobson, Tra Holmes and Jose Caballero received a promotion to the Kane County Cougars. 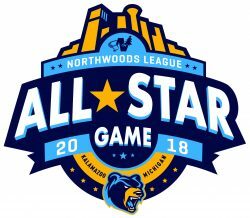 While not guaranteed picks, having five players make the All-Star Game is not without precedent. 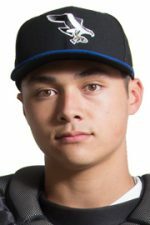 This year, the Spokane Indians will feature five players at the festivities: Francisco Venture C; Curtis Terry 1B; Diosbel Arias 3B; Hans Crouse P; and Emmanuel Clase P.
The Tri-City Dust Devils also have five All-Stars: Olivier Basabe 2B; Owen Miller SS; Henry Henry P; Jordan Guerrero P; and Dan Dallas P.
The Everett Aquasox and the Salem-Keizer Volcanoes have four players attending. The Boise Hawks and Vancouver Canadians have three All-Star nods each. 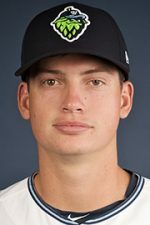 The Eugene Emeralds have one All-Star attending: Jeffrey Passantino P.